Dear Friends, *Quantum Astro Psychology* *Second batch of paid online training on WhatsApp starting from 28th August 2017* This is great opportunity for the participants who couldn't join first batch of online Astro psychology training. The Journey begins with actually knowing the Basic Quantum Mechanics. Touching the important Aspects of Astrology. Diving into the Planets(Rashies), Ascendants, Sun Signs, Moon Signs, and various Properties of the Planets. Briefing the Horoscope with analysis of Lagna, Moon, Sun and Navmansh Chart. Further Moving on to All Dashas and its respective effects. Finally, Knowing the Overall Quantum Energy of the Person considering all above mentioned Astrological Aspects in the Chart. *Energy Exchange:* *Our Rescripting participants: 1400/-* *Other Participants: 2750/-* (1350/- will be given as discount if you attend our Rescripting Astro Psychology program in future). *Dates: 28th August to 14th October 2017(45 days). * *This is a paid group. Please join this group only if you're interested in this training program on WhatsApp for 45 days. * https://chat.whatsapp.com/KOpL9kToxp1CV5Iqz8QZGA This is a collaborative venture of Institute of Peace, Happiness and Mind Power Development, Jaipur and Success Maximized, New Delhi. Shri Padam Nabham Sharma, Jyotish Visharad( Astrologer) Reiki Grand Master, Neuro Linguistic Programming Coach, Innovator of Cosmic Consciousness Module, Quantum Remote Healing and Rescripting Astro Psychology and Chief Mentor and Motivator of the Institute of Peace, Happiness and Mind Power Development is the Chief Facilitator of this Training. Shri Arun Kumar Singh, CEO of Success Maximized, NLP Coach and Mind Power Trainer is the Co Facilitator. *Quantum Remote Healing for Health, Wealth and Happiness* Dear Friends, Institute of Peace , Happiness and Mind Power Development , Jaipur and it's Collaborator , Success Maximized , New Delhi are extremely happy to announce yet another highly innovative 2 days "Quantum Remote Healing for Health, Wealth and Happiness" workshop in *New Delhi on 1st and 2nd July. * Quantum Healing is healing the body and mind from a quantum level. Our bodies are fields of information, intelligence and energy . Quantum healing makes an upward shift in the fields of energy information and aligns a person with higher consciousness. Quantum theory states that when the mind observes a set of circumstances or phenomenon, it has an impact on the outcome (the observer effect). The mind of the healer must be in a healthy state if it is to have a healing effect on the body. When the mind is in a state of stress, it will have negative impact on the body. This can create illness or disease. When the mind is in a state of appreciation and well being, it will have positive impact on the body and healing frequency can be generated. Integration of scientific work in Quantum Physics brings forward following supportive suppositions for Quantum Healing: 1) Everything is energy. 2) The universe is an ocean of energy. 3) The neural networks of the human brain resembles the universe. 4) Quantum vibrations are generated in the universe. However, these vibrations are also observed in the microtubules of brain. 5) In universe , there is a state of zero point energy. This is the state of absence of sound and light. 6) Zero point is the gateway that connects the space time of mind with the infinite intelligence of God. 7) Zero point in reality is the exact point of now and the living in now creates a fifth dimensional life by making you a light body. In Quantum Remote Healing, the healing power is multiplied exponentially by zero point existence with frequency of appreciation and abundance fully loaded. This is a unique Technique for Remote Healing with magical results as at zero point thoughts start manifesting into reality. So, learn Quantum Remote Healing Technique for miracles in life. All inclusive Investment: *Leader's Price 5900/- till 5th June 2017* *Early bird price 6800/- till 23rd June 2017* Regular Price 7700/- 24th June onwards. *Note: For registration, only 50% need to be submitted online and remaining 50% at venue in cash. * *Inclusions:* 1. Learning of new Remote healing technique. 2. Printed exhaustive study material. 3. Full audio recording. 4. Venue cost. 5. Morning breakfast, lunch and tea/coffee. 6. Participation certificate. For further details, please call/SMS/WhatsApp +91-9312621897. Payment can be made using *netbanking/debit card/credit card/paytm. * For further information, please visit our website or Facebook page www.successmaximized.com www.fb.me/successmaximized. Human beings are like radio. Their whole body is like antenna which has a system of five sophisticated amplifiers resonating with five different ranges of frequencies which we call our five senses. Through these five senses informations are received which the human brain analysis and decisions are taken based on this analysis.However , we receive other vibrational informations from very wide spectrum gravitational and electromagnetic waves received from the celestial bodies. These are beyond the range of the five senses and hence are not processed by our conscious mind. They directly influence the sub consious mind , our behavior pattern and decision making process , many of the times pulling us into actions of self destructions. Unless we understand the influence of these celestial forces in our life , our life boat will always swing in the ocean of trouble without any safety guard. Astrology is the Super Science which guides us about the influence of these celestial forces in our life. If anyone wants to equip himself / herself with the power to understand the influence of these forces in our and others life then " Quantum Astro Psychology '' , a 45 days whatsapp training program which will start from 8 th August , needs to be attended . It is a collaborative venture of the Institute of Peace , Happiness and Mind Power Development , Jaipur and Success Maximized , New Delhi. The whole earth including human beings , plants , animals , hills , rivers , house hold items are carrying gravitational and electromagnetic field frequencies corresponding to every celestial body . Our brain cells and molecules oscillate with various frequencies at the same time . Each frequency corresponds to one of the celestial bodies. Thus our body has complex electromagnetic field in and around us that has a structure moulded by these external influences. Our thought process , behaviour pattern and in turn the outcomes of life are influenced by planetary energy. If you want to learn the influence of planetary forces in our life then attend a 45 days paid whatsapp training program on Quantum Astro Psychology which will start from 8 th August. 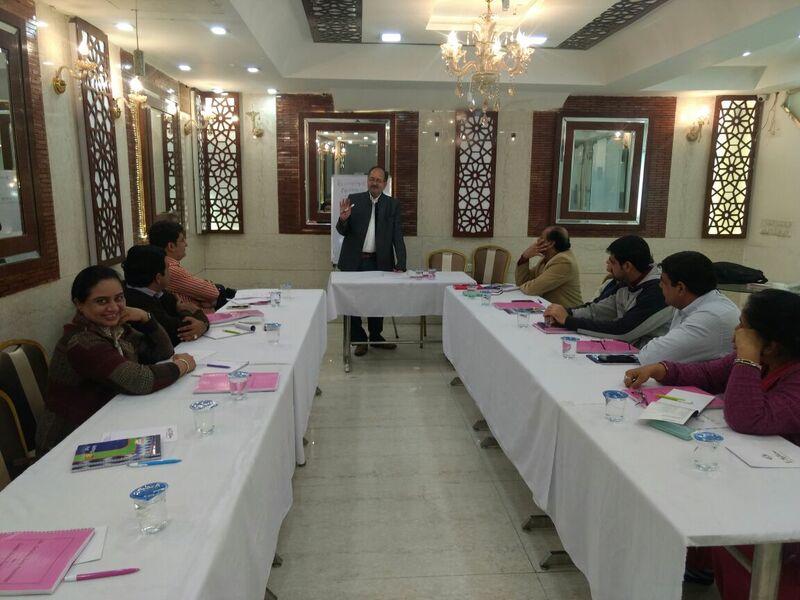 It is a collaborative Training Program of the Institute of Peace , Happiness and Mind Power Development , Jaipur and Success Maximized , New Delhi.